At cosy Hotel Villa Sjötorp in Lyckorna, Bohuslän, you sleep right next to the ocean. 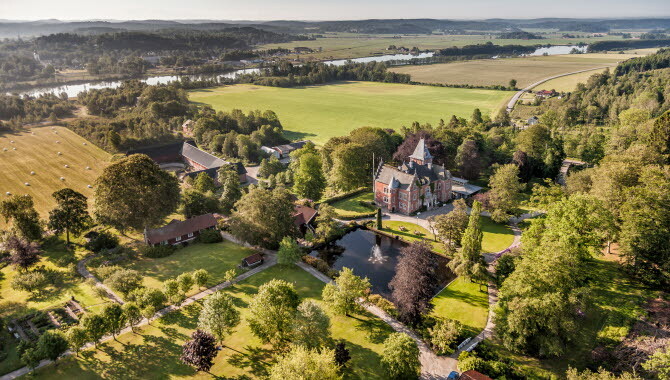 In 2016, this hotel won the ‘Historic Hotel Gourmet Award 2017’. 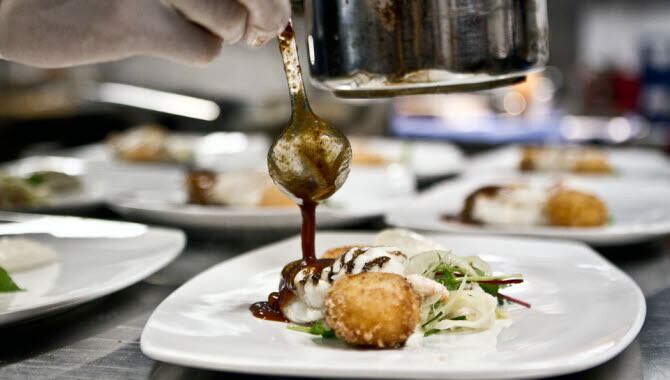 Of almost 500 selected hotels all over Europe, Villa Sjötorp was named as the one with the highest culinary level. 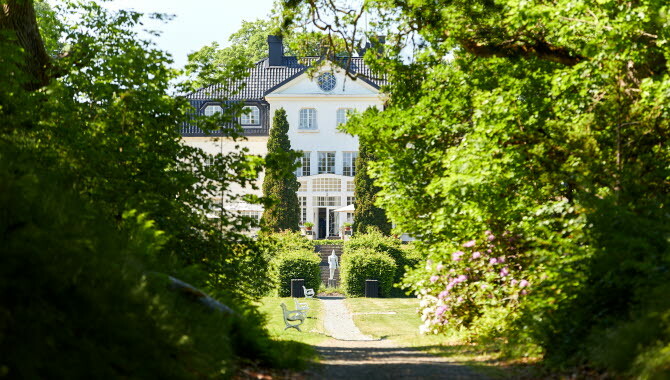 Stay in the Victoria House at Naturum Vänerskärgården, right next to beautiful Läckö Castle. 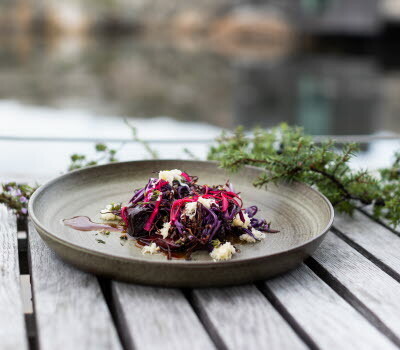 On the ground floor, with amazing views of the castle and Lake Vänern, Sweden’s biggest lake, is Restaurant Hvita Hjorten, which serves delicious meals for any occasion, made with vegetables grown in the adjacent castle garden and locally sourced ingredients. 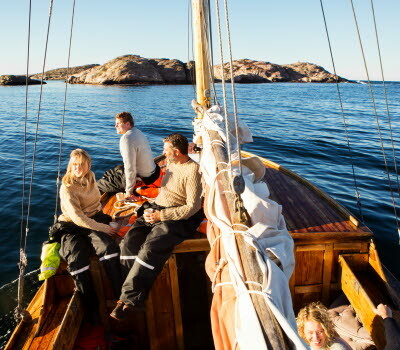 Salt & Sill, Sweden’s first floating hotel, is found near the island of Klädesholmen, which is known as the ‘Herring Island’, and where 40% of all Swedish herring comes from. 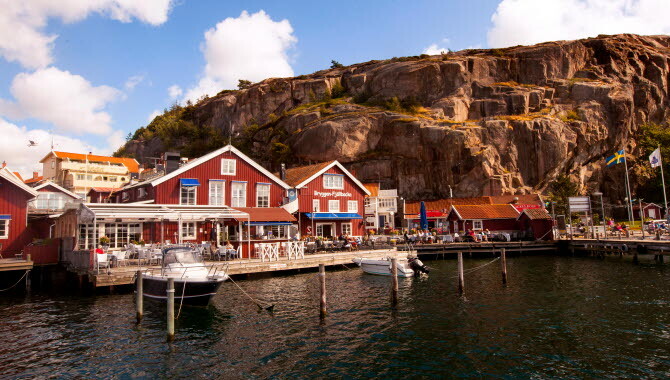 The hotel offers accommodation in a tranquil setting and spectacular views of the outer archipelago of Bohuslän. Salt & Sill’s restaurant has one of the very best locations on the Swedish west coast, as close to the sea as you can possibly get. 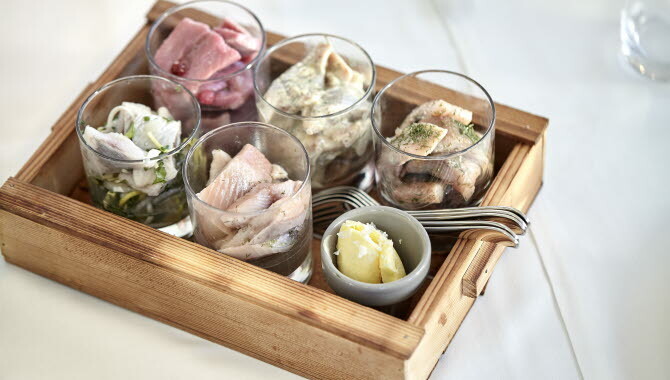 The restaurant serves fish, shellfish and speciality dishes like ‘The Herring Platter’ and ‘Klädesholmaren’ which have contributed significantly to its international renown, and put herring firmly on the culinary map. Impressive Bjertorp Castle, outside the town of Vara, is Sweden’s youngest Jugend-style castle. Today, this is a place for anyone who appreciates the good things in life. At Bjertorp Castle, visitors stay in historic surroundings and enjoy great food. The quality of the cooking is very high and the kitchen has won multiple awards. Pensionat Styrsö Skäret is located in the beautiful Gothenburg archipelago, and a place to enjoy the finer things in life. 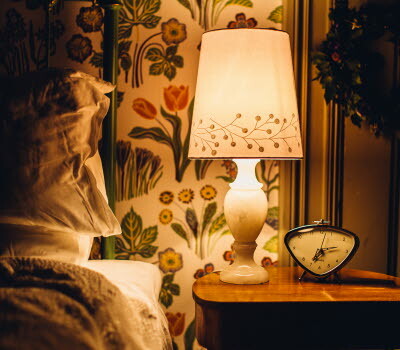 The rooms have been carefully decorated in traditional Bohuslän style. The menu at Pensionat Styrsö Skäret is always based around the latest catch of the day, and all the tables have sea views. The kitchen is known for serving up culinary surprises, and uses seasonal ingredients from its own vegetable garden. Pensionat Styrsö Skäret is easy to reach by public transport from Gothenburg. Learn more here. 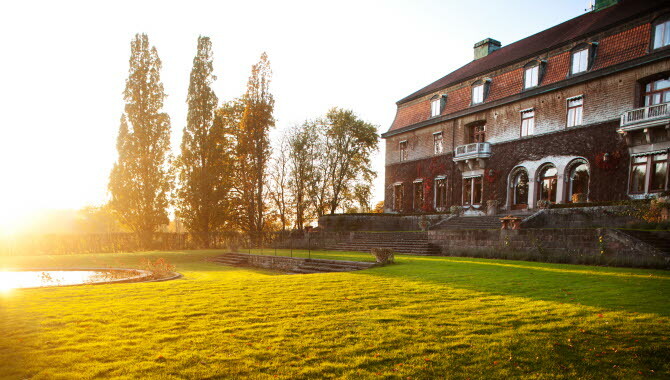 Thorskog Castle in Västerlanda is a proper fairy-tale castle, which has become an oasis for bon vivants with a taste for the good things in life. Stay comfortably in one of the 40 individually designed rooms, and enjoy first class food, prepared from regional and seasonal ingredients. 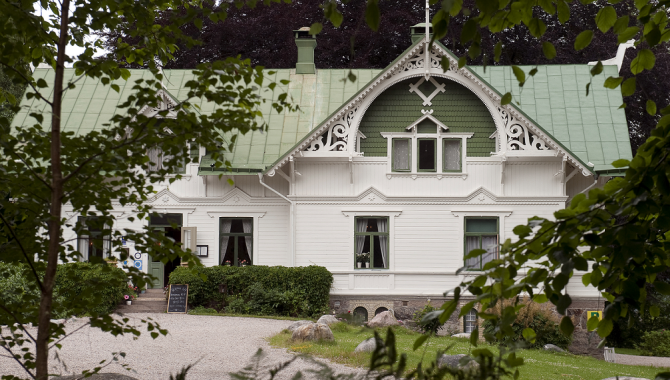 Baldersnäs Herrgård is located on a verdant peninsula in Lake Laxsjön, which is part of Dalsland Canal, and guests are guaranteed a good night’s sleep in these peaceful surroundings. 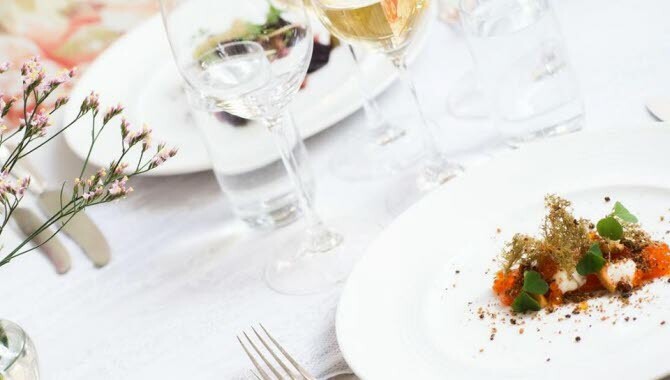 The restaurant, which is certified by Taste the West of Sweden, and recommended in the White Guide, serves local specialities, based around seasonal ingredients and prepared in the first-class kitchen. The view of the park from the dining room makes each mealtime a real treat. Albert Kök, Hotell och Konferens is a hotel and conference centre, located in beautiful surroundings next to the Göta River in Trollhättan. 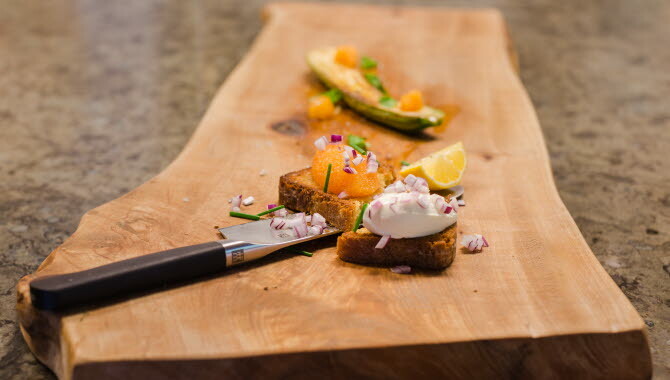 The menu of its award-winning restaurant takes its inspiration from locally produced, seasonal ingredients. The restaurant is among the top 15 in the White Guide for West Sweden. 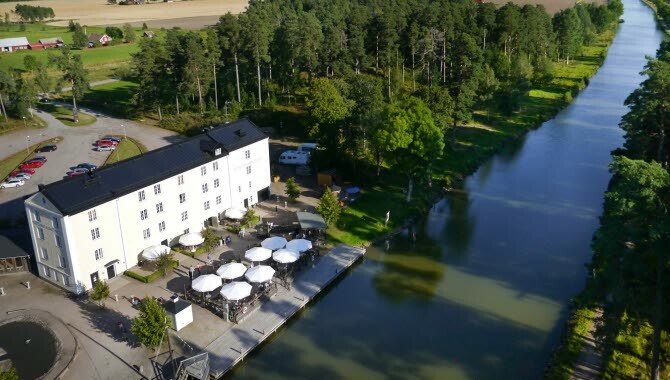 Norrqvarn Hotel & Conference is in a lovely location by Göta Canal. Göta Canal is one of Sweden’s best known visitor destinations and has been awarded the title ‘Best Swedish Building Structure of the Millennium’ At Norrqvarn, guests can either stay in the comfortable rooms in the hotel, or choose accommodation in tree stumps or mushrooms overlooking Göta Canal. The aim of the restaurant is to showcase local ingredients, and the menu changes with the seasons. On a warm summer day, meals can either be enjoyed on the hotel’s pier, with views of the many passing yachts, or in the pleasant dining room. Right at the edge of the water, in the picturesque fishing village of Fjällbacka in Bohuslän is the boutique hotel Stora Hotellet Bryggan. Fjällbacka was a favourite spot for the actress Ingrid Bergman, and this is also where Camilla Läckberg’s detective stories are set. The hotel offers rooms decorated in Newport style or inspired by the worldwide travels of Captain Klassen. The restaurant has something to suit all tastes, from fine dining to tapas, oriental dishes to grilled meats. 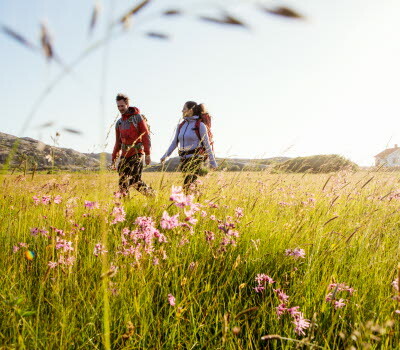 * All the hotels above are members of Taste the West of Sweden, a network that promotes West Sweden as a food region, and works to increase awareness of locally produced products. 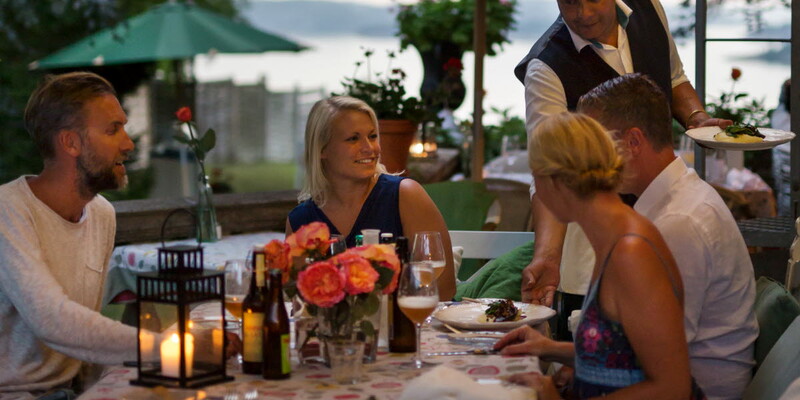 Learn more about Taste the West of Sweden here.